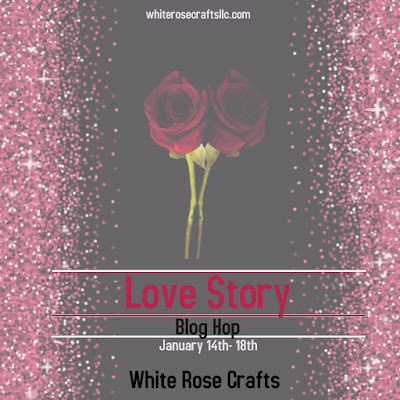 Welcome Rosies to the January "Love Story" Blog Hop. This month's hop will Run from today, January 14th- Friday, January 18th at 12pm. 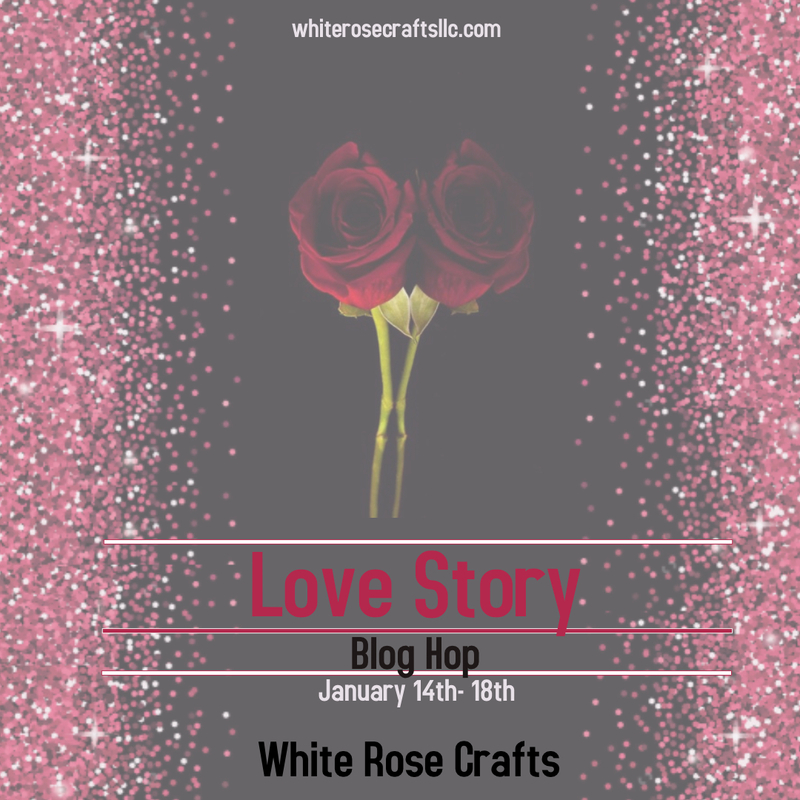 If you are not familiar with blog hops, it’s fun and easy way to see what the Rosie Design Team is creating! Simply click on the first name in the list below to visit our Design Team. Each blog will have the same list of links on their blogs and you just follow them in order to go to the next blog! And to make it more fun there is a chance for you to win a $15 WRC Gift Card just for hopping along with us and leaving a comment at each stop along the way! The Hop will run all week until Friday, January 18th at 12pm EST. Once the hop has closed, we will randomly pick a winner of someone who has commented all along the way, who will be announced on the 19th right here on the WRC blog! And as an added bonus, do you want your work to be featured on our blog when we announce our hop winner. Share your White Rose Crafts projects over on our Facebook Gallery, and you might just be a featured project right here! Have you seen our January "Love Story" Subscription Kit? There are only a few left in stock, so don't miss out on a chance to own your own bit of Festive Winter Elegance. But did you know that with each of our kits, there is always an Kit Add-On section of the Store that compliments your Monthly Subscription Kit? And did you know you can get anything in that January Kit Add-On section for 10% off using the code Add-Ons 10!!! Today our design team is playing around with the vast array of crafting supplies you can find in the January Kit Add-On. So prepare yourself for all the fun and the very cool line up of projects our team has prepared for you. And when you get done hopping go back to White Rose Crafts Blog and let us know which add on you would be most excited to play with. To make this project I used the Tim Holtz Urban Grunge stamp set. Using a panel of distress cardstock I stamped out the script stamp 4 times using VersaMark ink. I then used Gold Embossing Powder and heat set it. Once the embossing powder cooled I stamped the LOVE stamp that came in the set 3 times using Scrapberry's Pink Pigment Ink. I used a distress cut die from my stash to cut out this panel, and added it to a Hot Pink card base. Finishing touches were to add 3 heart buttons to the front panel and this card was complete. Here is the line up!!! I really love how this card came out. The Urban grunge set really make the project look 'fancy'. Very cool effect. So beautiful. I love the script background and the large LOVE. Great colors too. 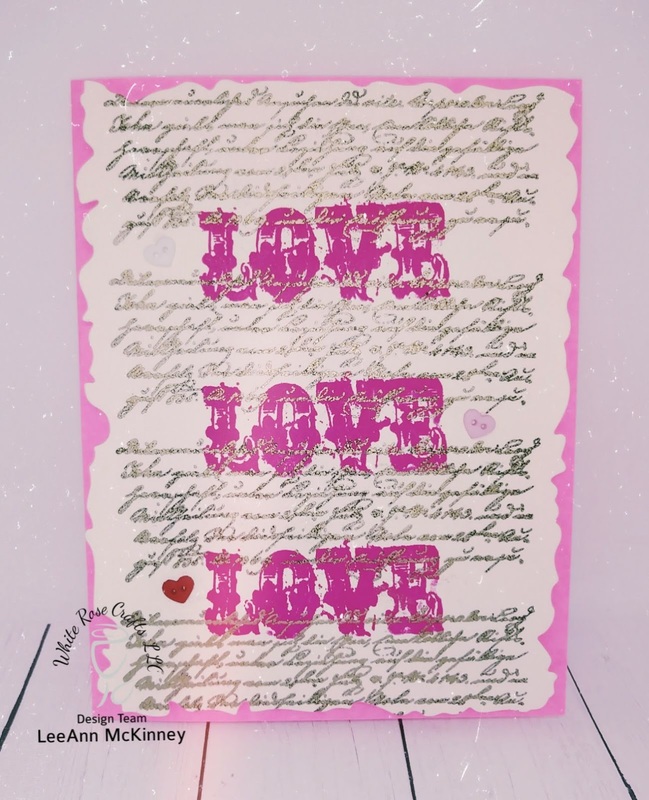 I love the bright pink "LOVE" such a great shabby chic card! Pretty Love card. I like the script background. I love Tim Holtz products! Great card!